Hell hath no fury like a pop star backlash. Because mega-selling artists of Katy Perry’s caliber are put on impossibly high pedestals, they’re also held to higher standards of scrutiny. Mortal sins for pop stars include (but aren’t limited to) overexposure, changes in music styles, trying too hard, not trying hard enough, saying something after a major event, not saying something after a major event. It’s a constant, tenuous grasp on public favor that only a very few can even contend with. In the roll-up to her new album, Witness, Katy Perry hit backlash blackjack. She was criticized for responding to people upset about her changing hair color by saying, in a mocking tone, “Oh, really? Do you miss Barack Obama as well? Oh, okay—times change.” She was called out for collaborating with Migos, a group that’s been accused of making homophobic comments, and dinged for wearing a Met Gala dress designed by John Galliano, who has come under fire in recent years for racist and anti-Semitic remarks. After posting an image of Hindu deities on Instagram with the flippant caption, “current mood,” she was accused of cultural appropriation. These examples are, charitably, cringe-inducing, though it’s perhaps more precise to say they’re various shades of ignorant, condescending, and/or insensitive. More than that, the disconnect between Perry’s social activism and continued cultural illiteracy repeatedly undermines her good intentions. And when it comes to her music, these actions stand in stark contrast to what Perry says she wants Witness to be. The house-tinged “Bigger Than Me,” a song inspired by Hillary Clinton’s election loss, might as well be a narration of Perry’s own political awakening, as it’s a song about personal evolution and vowing to “speak my truth / Though my voice shakes.” This song is particularly successful, because it’s a subtle and nuanced complement to Perry’s over-the-top, empowering anthems. “Hey Hey Hey” is even more galling. Despite masquerading as empowerment, the song depicts a narrow version of femininity and success—lipstick and a dress, and being rich, respectively—and it perpetuates irksome stereotypes about strong women (“’Cause I’m feminine and soft, but I’m still a boss, yeah”). Considering that Perry was such a staunch supporter of Hillary Clinton, a candidate constantly criticized for not being warm or relatable, this song comes across as particularly oblivious. Albums are greater than the sum of their parts, of course, and sometimes dodgy lyrics work well in the context of engaging music. Unfortunately, that’s not the case with Witness: Despite the presence of bulletproof hit-makers (Max Martin, Sia, Jeff Bhasker) and inventive electro artists (Purity Ring, Hot Chip, Duke Dumont), the record is curiously flat, a shapeless slog that feels remarkably sluggish. Hooks are in short supply, replaced by grooves and atmosphere that pick and choose elements from ’90s house music, mainstream EDM, electro-tinged hip-hop, and ’80s new wave. Witness also has its moments of exuberant sonic clarity. The upbeat standout “Pendulum” is a funk- and soul-tinged synth-pop jam that should be in an ’80s movie starring a bold protagonist finding her way in the world. “Chained To The Rhythm” is a sleek new wave homage chilled with air-conditioned EDM rushes. And despite (or maybe because of) its lyrical pettiness, the Dumont-associated “Swish Swish”—the ’90s house-referencing, Fatboy Slim-sampling, Nicki Minaj-featuring single believed to be an allusion to her ongoing feud with fellow backlash-prone pop star Taylor Swift—is, grudgingly, an irresistible dance jam. 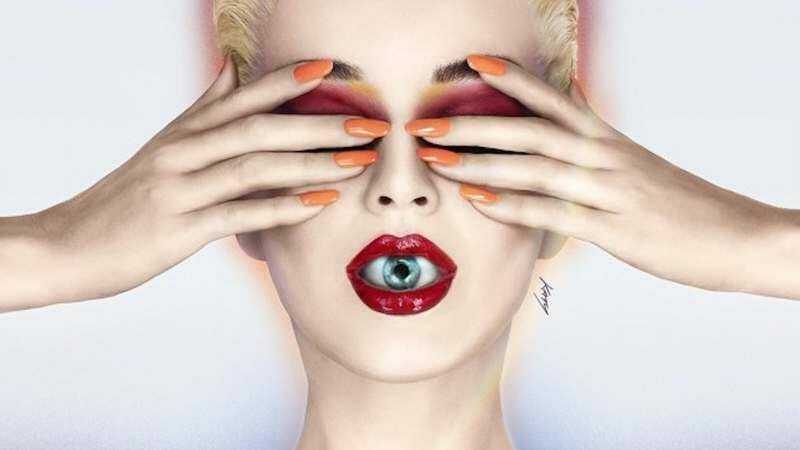 It’s unfair to expect Perry to keep making music that’s nothing but a rehash of “California Gurls,” “Teenage Dream,” “Roar,” or “Dark Horse.” However, everything about Witness—starting with its extended promotional cycle and ending with the album itself—feels like Perry trying to run away from her strengths. And so, although pop fame brings with it unforgiving public pressure, she remains dogged by a stubborn aura of hypocrisy. In the end, Witness is collateral damage in Perry’s ultimately unsuccessful attempt at forcing personal growth. Purchase Witness here, which helps support The A.V. Club.